I can’t believe it’s already back-to-school season! If you’re wondering, yes, I’m still in school – but that’s a good thing because I always love shopping for school supplies, especially new planners! 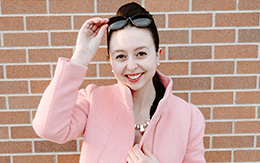 This year I can’t decide between a Lilly Pulitzer planner and a Prep Avenue one…it’s a tough choice! I get so many compliments on my MacBook Pro case and thought it would make a great post to share where I purchased the case and gold sticker for my laptop! This is perfect timing because you can refresh your MacBook for the new school year. All in all, this project cost me under $30 to complete. As always, just double check your model number when you’re purchasing the laptop case to make sure it fits on your computer. On my particular case, there was already a cutout for the Apple logo on the top of the case so I basically just carefully covered that with the gold leaf sticker. But, if you cover doesn’t have that cutout, you will need to whip out a ruler and measure to make sure you get the sticker perfectly centered. You don’t have to have a MacBook specifically for this tutorial – tons of brands make white marble cases for any type of laptop. You might not be able to use a gold Apple sticker, but you can custom order a gold metallic monogram decal on Etsy for under $10 to use instead. 10 minutes and $30 later and I have a very chic laptop! 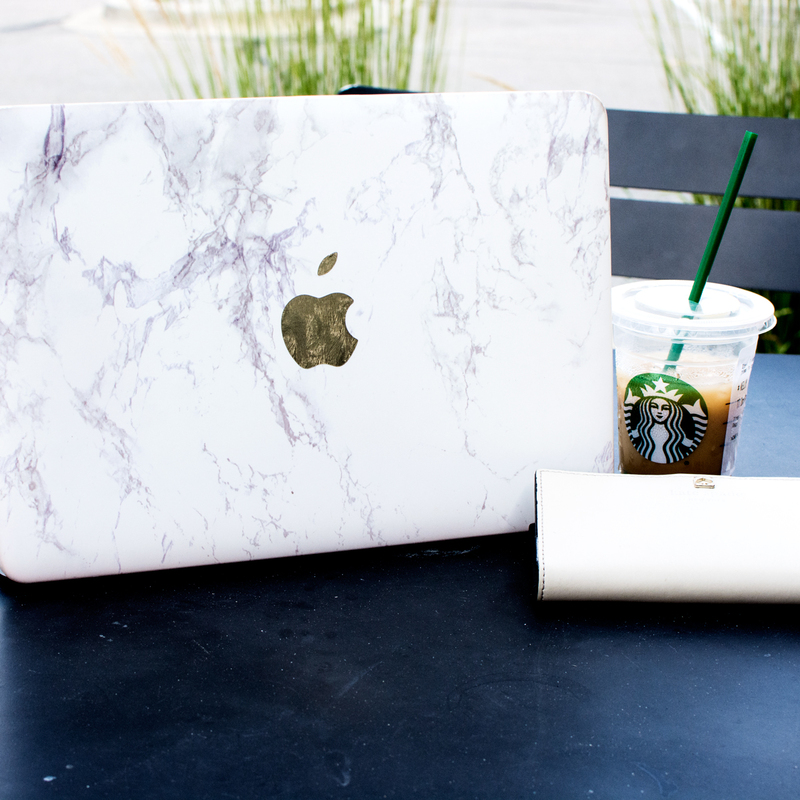 Not that Apple laptops weren’t already chic, but it feels a little extra special with this white marble and gold MacBook case. Be sure to stick around because tons more back-to-school DIYs are coming!